in the innovative BMW i Look. Whether it's a jacket made of recycled materials, or a tablet case with olive-leaf tanned leather applications, the BMW i Collection offers just the gem for every taste. The connection between sustainably obtained materials and the BMW i design is evident in the BMW i Hooded Jacket. This multi-functional jacket is made of 100% organic cotton and recycled materials. With its roomy pockets and soft hood, it is ideally suited for sports and leisure activities. Dynamic lines in bright Electric Blue and colored surfaces in gray melange and white echo the design of the plug-in hybrid sports car BMW i8. One suitable combination possibility is the tapered BMW i T-shirt with a V-neck in the women's version and a round neck for men. Both T-shirts are made of 100% organic cotton. The responsible use of raw materials can also be seen in the BMW i Cap, which is made of 100% cotton. The grey cap with blue quilting seams has an understated visor made from environmentally friendly cardboard and can be fitted to individual head shapes with the help of an adjustable metal clasp. In addition to the jacket, T-Shirts, and cap, the collection offers useful accessories for everyday use. The BMW i Drinking Bottle is made out of titanium, which is not only very light, but also extremely durable. An integrated sieve for fruits or other flavor dispensers makes it easy to enrich the water with flavor. With its practical carrying strap and capacity of 750 ml, the drinking bottle is the ideal companion for the road. Whether indoors or outdoors, the BMW i Bluetooth Speaker provides the right entertainment. With a battery life of six hours and a convenient carrying case in felt look, the speaker ensures mobile music joy. And if the battery is empty, the Bluetooth Speaker can be charged problem-free with solar energy and the BMW i Solar Charger. 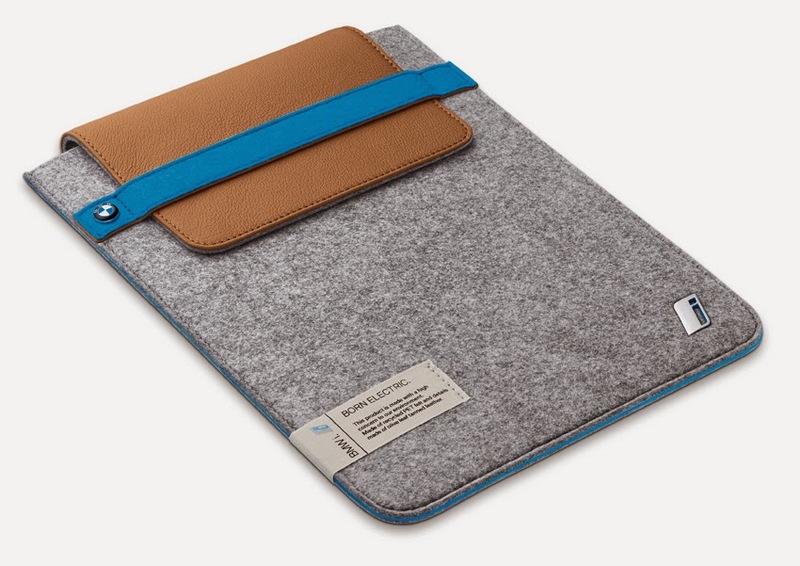 As with the entire BMW i Collection, the BMW i Tablet Case and the BMW i Mobile Phones Cases are not only stylish, but also sustainable. In these items, the mix of recycled pet bottles in felt look and olive-leaf tanned leather applications underline the combination of resource-conserving materials and clever design. The soft, hypoallergenic material protects the sensitive display against moisture and dirt and sits comfortably in your hand. 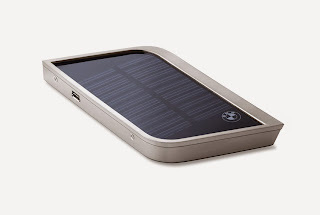 The BMW i Desktop Organizer, coated with high-grade stainless steel, is a nice detail for the desk. Its rubber bottom protects surfaces from scratches while its lining in felt look made from recycled materials hugs any object – whether scissors, pens, or rulers. For lovers and collectors of model cars, the BMW i Collection offers a very special piece: The BMW i8 Miniature on a scale of 1:18. With openable gull-wing doors, rubber tires, seat belts made of genuine seat belt material, flocked trunk and leg areas, and functioning steering, it corresponds to the original in detail almost on a scale of 1:1. These and other products from the BMW i Collection are available online and at selected BMW retailers.